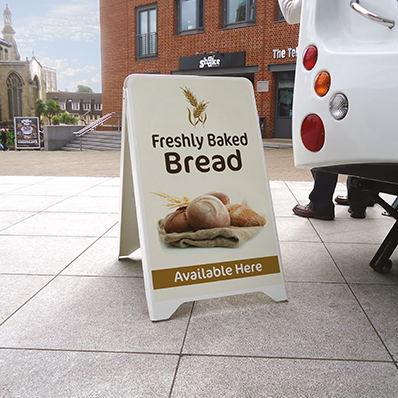 Our budget A-Board offers a cost effective solution to a wide range of short term and temporary advertising. 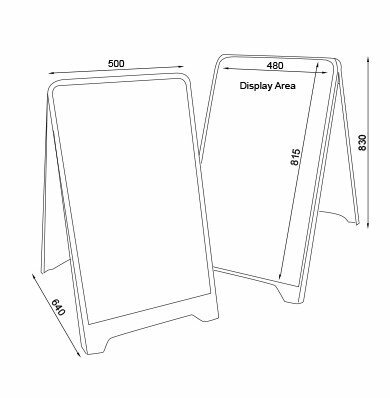 The lightweight, fold flat design makes this system easy to transport and store making it ideal for use at events, exhibitions, stalls, etc. Suitable for use in internal and sheltered locations the high quality printed graphics will help your message stand out. Ideal for advertising sales, discounts, live games, etc. 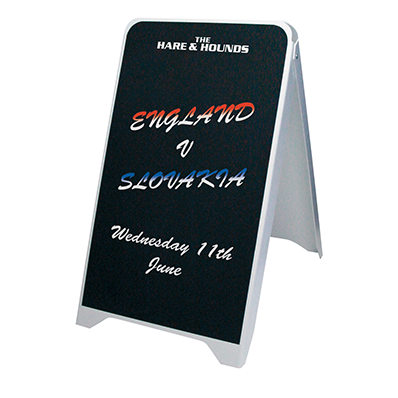 Supplied in white polystyrene (HIPS) finish. Chalkboard panels available as an optional extra.